First, let me share some knowledge about immigration process which I gained first-hand. No travel site clearly mentioned following steps (or I failed to google it correctly). If you are only interested in reading my experience, please jump to next section! Below is general sequence you need go through during international travel. Above sequence is repeated when you come back to your home country. I guess it will be repeated when you visit a different country in your tour. So following are steps you go through when crossing international borders by air transport! In flight itself, you get an immigration slip in which you write information about trip. Name, Passport Number, Purpose of visit, currency/goods you are bringing, etc. Once you clear immigration, you go to claim you checked-in baggage. This is optional if you do not have any checked-in baggage. Finally you pass custom-clearance. If you have bringing items for which custom duty is due, you need to pay this. If you have declared that you are bringing nothing that needs to pay custom, custom officer may request you to come aside and check. If you have entered false information on immigration slip, you will regret at this point! When my turn came, immigration officer asked me purpose of visit. I showed invitation letter by Nginx Inc which stated that I was invited as speaker. The letter was of low scan/print quality. Immigration officer said the letter looks like forged one. He already asked me about my profession before to which I replied “Software Engineer”. Now he was asking me to explain why quality is not good from engineers perspective! May be scanner wasn’t closed properly or letter was scanned at low dpi. But I got panicked so rather than getting into engineering, I said that the letter was scanned and emailed to me by Nginx, Inc. I simply printed as it. So I had no control over it’s quality. He wasn’t convinced. He asked for other proofs. I showed nginx conf complementary pass I was given. It was just a print out of a webpage without any barcode or any security feature. But as it’s printout of simple text content, quality was good (like a regular print)! He accepted it. After purpose is clear, he turned his attention to food. He said, “why haven’t you brought any food items from India?”. I said, “I am a non-vegetarian so I guess I will have no problem eating in US. Also, I am planning to stay at my friends place for few days and then in hostels. So I will prefer cooking something fresh, rather than eating stale food!”. His next reaction was, “So you are a software engineer who knows how to cook! What if you get a good opportunity here and decide to settle down in United States?”. Only thing I added, “And I am not a good cook!”. I guess this addition was not needed. Next he turned his attention to gift section on my immigration slip. I declared about gift items I was carrying to the US. 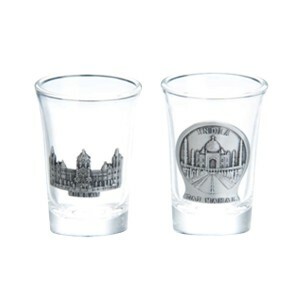 When he asked me about them, I explained that they are shot glasses which can be used for drinks as well as decorative purpose. His next reaction was – “So do you want people here to get drunk and remember you? Out of all things you could only imagine making people drunk!”. This reaction made me wonder if drinking is prohibited in US/California or in LA! He interrupted me midway, and said – “Wait. I am just kidding man. Enjoy your stay in US”. With best possible smile you can see on the face of an immigration officer!